Ideal for frequently washed or oily hair. Not recommended for chemically treated hair. 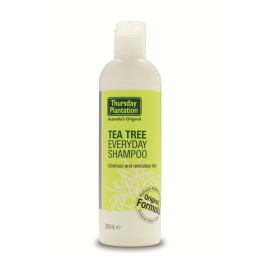 Thursday Plantation Tea Tree Everyday Shampoo gently cleanses the scalp and hair without stripping the natural oils. For best results use in combination with Thursday Plantation Everyday Conditioner.